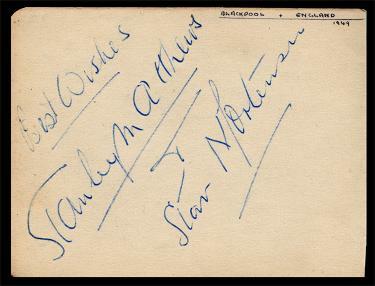 Signed 1950s C.W.S. 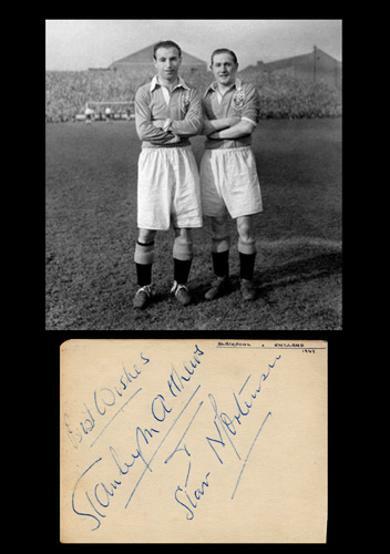 Football Boots promotional postcard with clear autographs from the Wizard of the Dribble and the former Wolves & England captain. 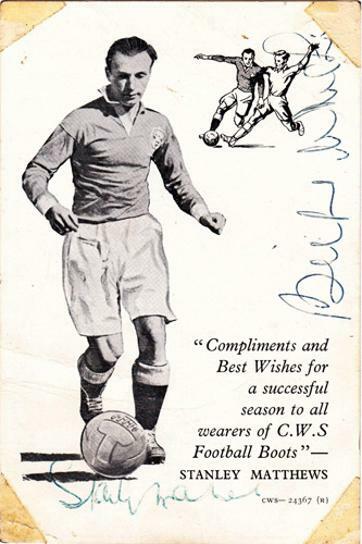 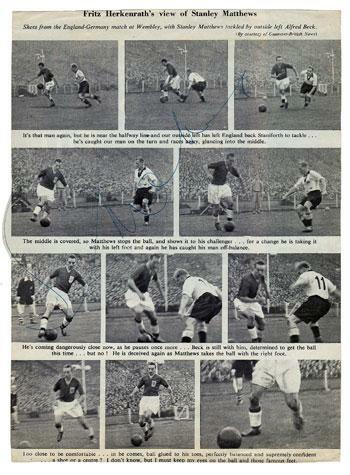 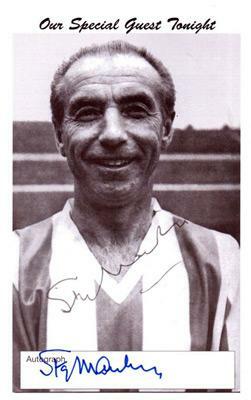 the "Wizard of the Dribble"
Welcome to Uniquely Sporting's sports shop / store page for SIR STANLEY MATTHEWS football memorabilia & soccer collectables. 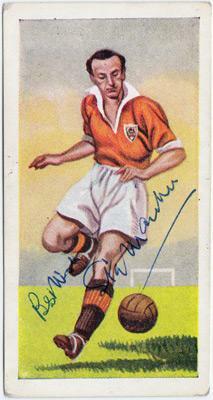 from his playing days with Blackpool, Stoke City and England.